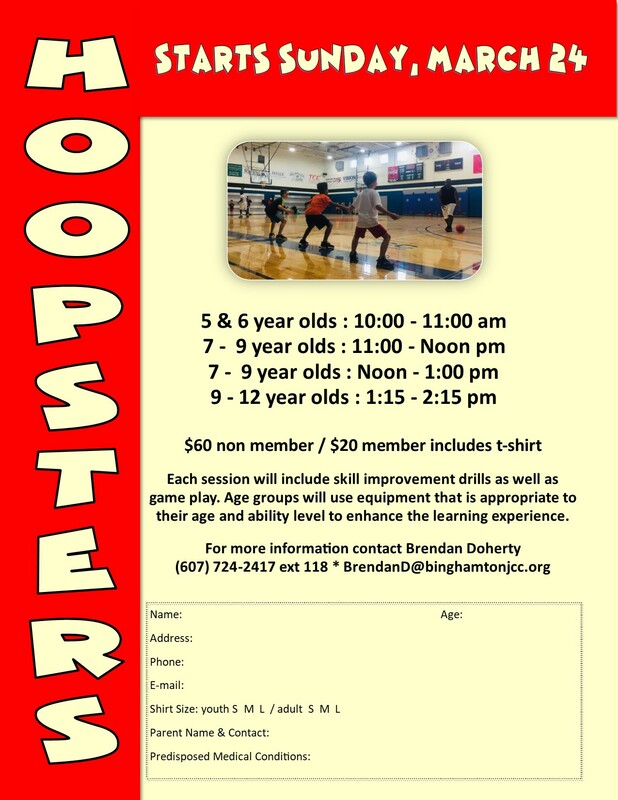 The Sports Department at the JCC offers sporting activities and leagues for children, teens and adults throughout each season in the Kenneth Olum Gymnasium. Our premium 8,000 square foot, state-of-the-art facility was recently renovated and refurbished in 2014. Our gymnasium can be used as a full court or two half courts for basketball, dodgeball and other adult & children's leagues. If you have any questions, feel free to contact our Health, Physical, Education & Recreation (HPER) Director Brendan Doherty at BrendanD@Binghamtonjcc.org or 607-724-2417 ext. 118.